This honey bee is collecting nectar on my lavender. 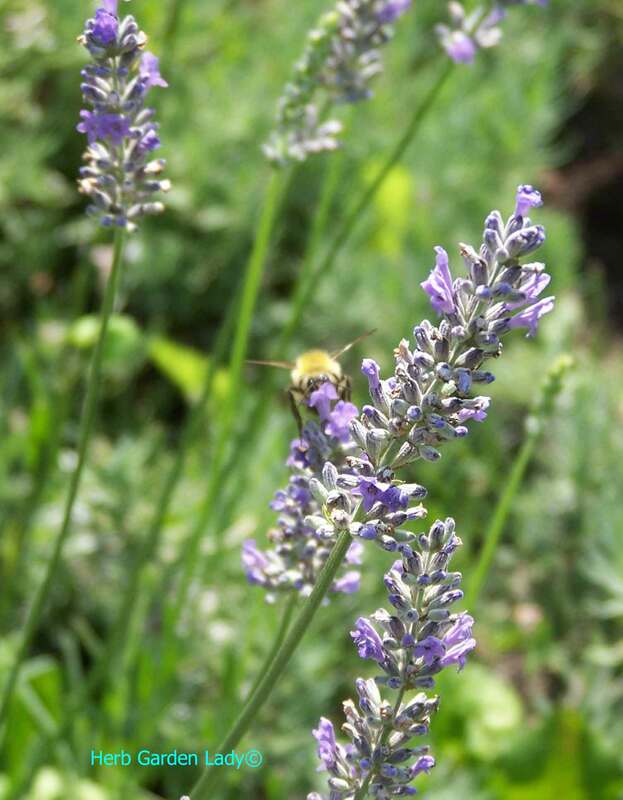 The honey bees love my lavender herb plants and make excellent lavender honey. Yum! Lavender is a shrub grown in the Mediterranean. 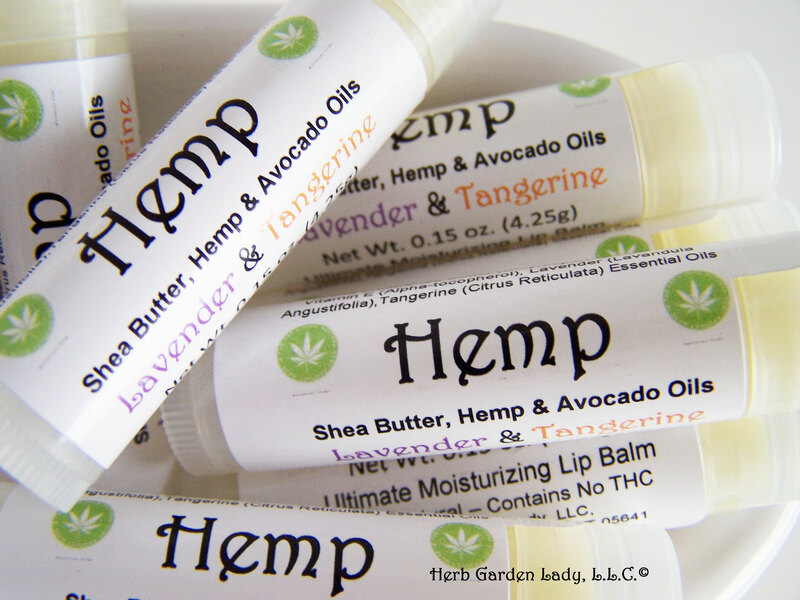 This aromatic herb was one of the first herbs to be brought to America by the early settlers. We’ve enjoyed it ever since. The beautiful flowering hues range from white, pink, purple, violet, and dark blue. Since, lavender is an indigenous species to the mountains bordering the Mediterranean it needs full sun and an open site. You want to discourage fungus and pill bugs who love to eat the leaves and roots. The soil needs to be well-drained, sandy, with either lime added or already in the soil. Lavender likes sweet soil just like lilacs and some Hydrangeas. A good way to test the soil is with a soil tester kit or gauge sold at most hardware stores. You can grow some lavender from seed, but the true heirloom plants need to be ordered from a nursery or seed catalog like Richter's Herb out of Canada. They have a great selection and their seeds and plants I’ve ordered throughout the years have always been excellent. When the seedlings have developed there true leaves thin them. Let them get a little bushier before you transplant them. Plant them 18 inches to 2 feet apart. If you want a hedge, plant them 12 inches apart. Harvest the flowers just when they are starting to open. This is when their essential oils are most abundant. When the flowers are exposed to the open air the oils evaporate more quickly. To keep lavender healthy remove old flowers, prune hedges and straggly plants in spring or late autumn. Save these items for later to make lavender scented linen spray. 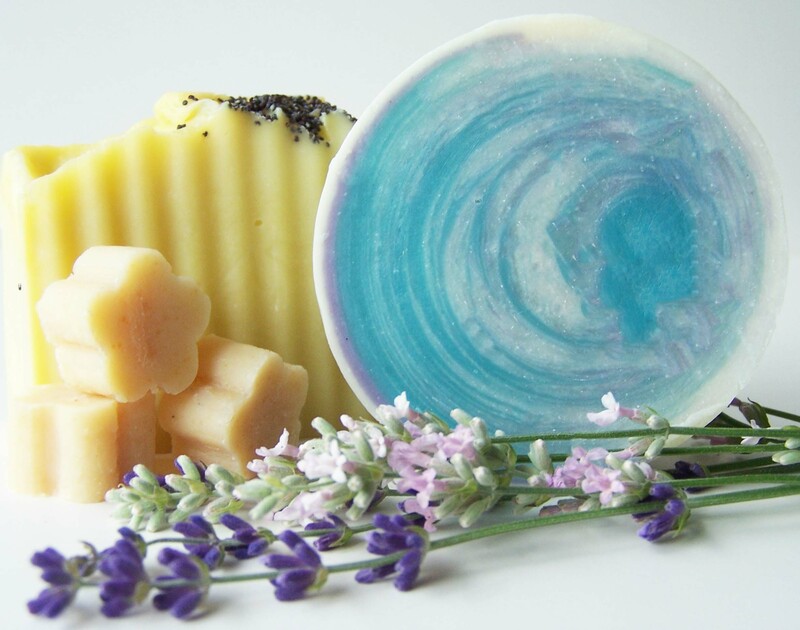 In Greek and Roman times the favorite herb to add to bathwater was Lavender. The Latin meaning of lavare is “to wash.” So, enjoy the fresh clean scent of lavender on your clean sheets with a little spray of lavender scented linen spray. Preserving your lavender is very easy. Just cut the long stems and tie into a bunch and hang upside down in a warm, dry, dark place like a garage or closet. They should be dry within two weeks. Another idea is to use a portable garden greenhouse without the cover, which is how I dry my herbs. I spread the freshly cut lavender on the racks with newspaper lined underneath and let them dry within two weeks in my garage. When they are fully dried they are crunchy and break easily to the touch. If you can bend the leaves there is still moisture in the plant. Just wait a few more days and they’ll be dry enough for use in culinary, decorative or household use. To store lavender flowers use paper bags. The essential oils are located in the flowers green brackets at the base of the plant. This is what gives off that beautiful lavender fragrance. When you use lavender herb make sure use the correct species for the most beneficial and healthful results. Use your dried lavender leaves in potpourris, sachets, and bath bags along with some of the flowers. Dry the leaves and then strip them off and store in paper bags to use when you’re ready. The flower is used to flavor jams and jellies, lavender sugar (video), lavender vinegar, crystallize edible flowers, and added with other savory herbs to enhance the flavor of stews. Use the flower to make your own medicinal herb medicine. 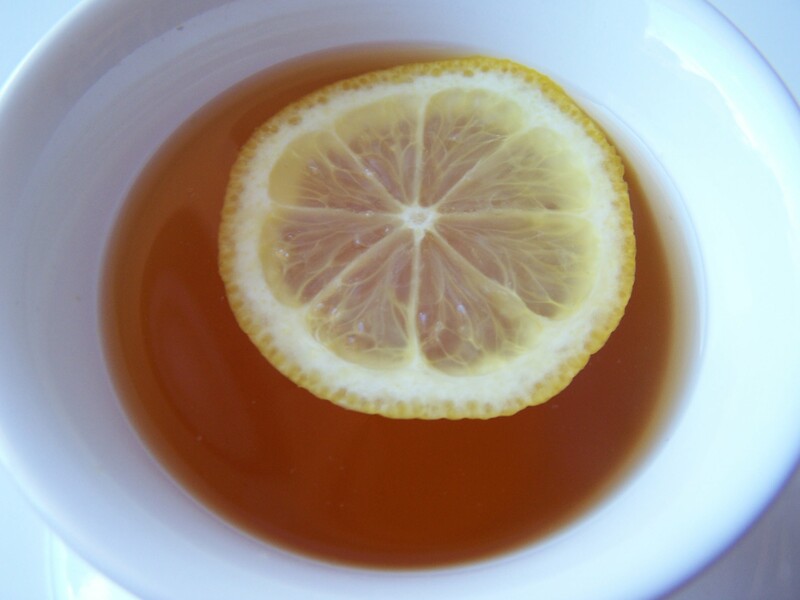 Add the flower to teas to soothe headaches, calm nerves, dizziness, fainting, halitosis, ease flatulence or earache pain. Add 2 drops of the lavender essential oil on a cotton ball and plug into the ear when you go to bed at night. Lavender is an antiseptic, painkiller, and mild sedative and is great for insect bites, stings and small (cooled) burns. When my son gets a bug bite I break off a flower bud and immediately put it right on the bite to soothe are relieve the pain. Add the lavender essential oil to bath water or make your own bath salts. Blend the healing powers of the essential oil with Jojoba or Almond to create aromatherapy massage oil for throat infections, inflammation, anxiety, insomnia, depression, rheumatic aches and skin sores. Use your dried lavender leaves in potpourris, sachets, and bath bags along with some of the flowers. Dry the leaves and then strip them off and store in paper bags to use when you’re ready. 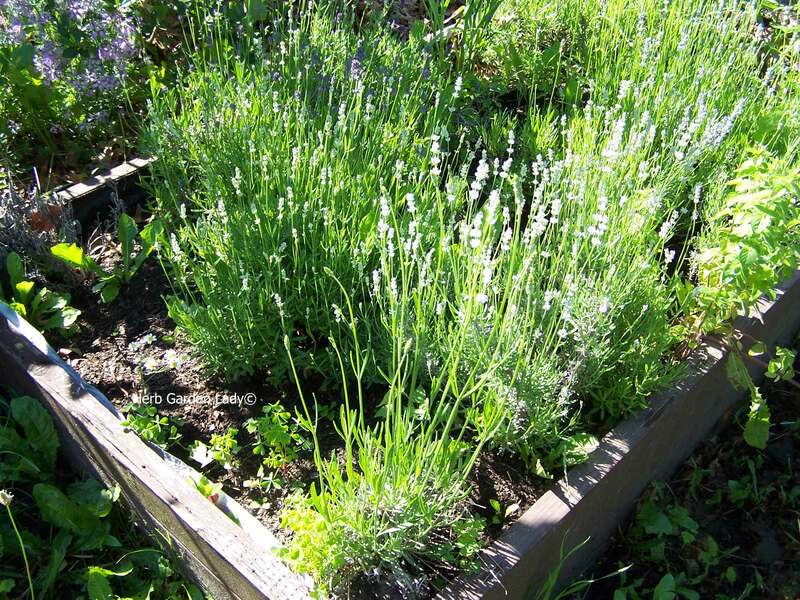 Lavender herb plants growing in my raised garden beds. Laveandula latifolia – commonly called spike lavender or just spike. Latifolia means “broad-leaved,” and the leaves of this species are broader and are of a grayer hue then Lavandula angustifolia. This species has a camphorous odor, which is not a sweet smell. Although, it is not used in cooking it’s a good cross pollinator and starts easily from seed. Some lavender species can take up to 60 days to germinate and need cold temperatures to break dormancy. Lavandula x intermdeia – is a great species in hot, humid temperatures where other species and varieties are not as tolerable. The best way to propagate this species is from cuttings. 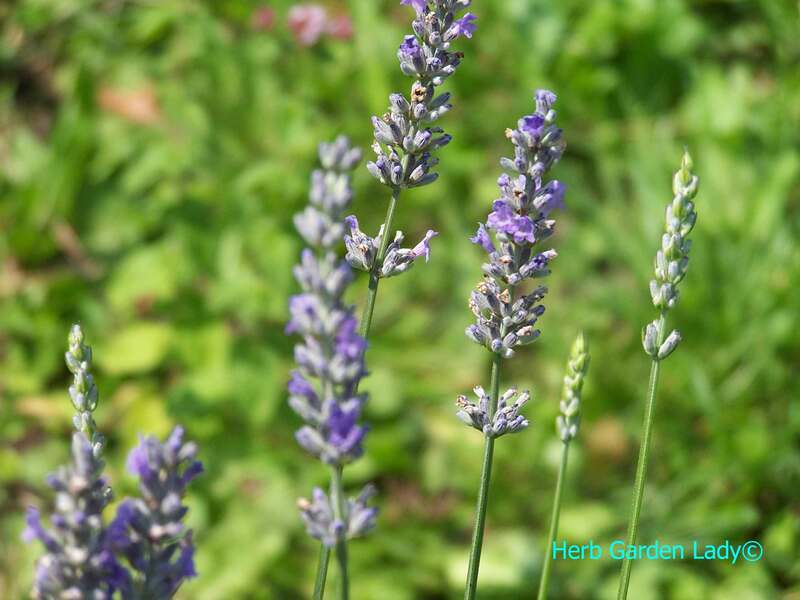 Learn more about growing lavender herb with sound gardening advice and gardening tips or plant an aromatherapy herb garden. Visit my shop for more gift ideas like jellies and jams plus lavender sugar, lavender sachets and lavender tea blends. Learn about the Benefits Of Lavender and Buying lavender plants at my shop.